We work with community-based organizations in rural villages of Uganda to address issues that perpetuate poverty through providing education and community development programs. We do this because every youth deserves an opportunity to thrive, to become a contributing member of a healthy and productive community and to be free from extreme poverty. We empower widow's groups by providing training, equipment and small business grants. We support children's secondary education, vocational training and leadership development through scholarships and school funding. Our registered nonprofit partners in Uganda provide social support to help students succeed through student council activities, after school clubs and sports programs. Program graduates have the opportunity to contribute to our partnership in a leadership capacity. Through feedback from our Ugandan advisory board, and grant applications from our partner NGOs, we fund community impact projects including health initiatives and infrastructure which improve life in the village. By bringing our partner NGOs together on one advisory board we encourage the sharing of resources, ideas, and experiences which can offer support and hope. A generous donor has offered to match every donation dollar-for-dollar up to $10,000 during the course of this campaign! In 2018 we are proud to have launched new programs and partnerships, as well as expand existing initiatives. A generous portion of proceeds from this collection by miller canning design goes to support Tusubira's mission during this Valentin'es Day Benefit Sale. Follow this article to find the link on Etsy. Today's message of hope is about land. I currently am reading a phenomenal book called Why Nations Fail, and in this book the connections between property and land are unraveled. While I continue to better understand the history and economics of land, I don't need intellect to know that the reality for so many Ugandan communities is one shackled to poverty. Won't you join us in lighting the fire of hope and self sufficiency through education? Schedule your GiveBig Donation today and your dollars will be matched by the Seattle Foundation. Thanks to the hard work of CEP- Uganda (Child Empowerment Programme), Yana Community High School opened in early February 2017. 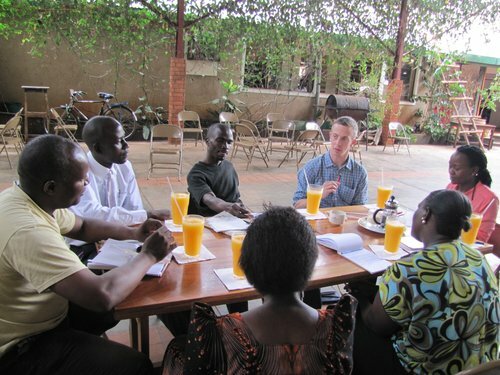 Our US-based board is currently weighing medical treatment options for two of our scholarship beneficiaries. The two students we currently support both suffer from congenital conditions which affect them on a daily basis. Support secondary education in rural eastern Uganda. Enjoy this short story about the establishment of Yana Community High School in Nawanende village, Kamuli District. Join this community as we make secondary education accessible to all children. Our Field Coordinator, Richard Oyel provides this national report on how Kamuli district sinks deeper into poverty as investors rent or buy off land to grow sugarcane. Rural communities consisting of subsistence farmers are left with no source of livelihood after the money received is used up. Robert Kalulu, from our partner organization CEP (formerly TAGEN) gives thanks for Tusubira's scholarship program support in Nawanende Village, Kamuli Uganda.